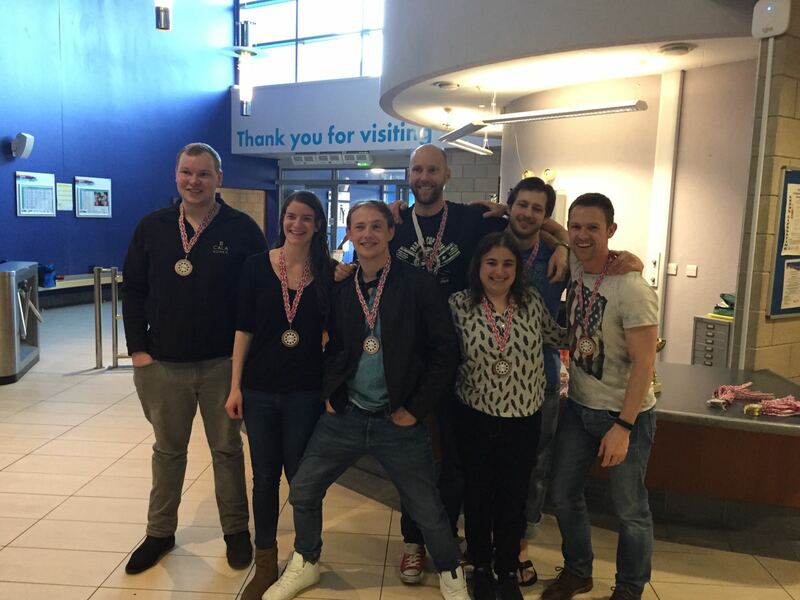 Last weekend St Albans Underwater Hockey Club competed in the Semi Finals of the British Octopush Association National Championship. The competition was held this year in Leed's John Charles Centre for Sport and the Olympic venue was packed out with Underwater Hockey players from across the country. 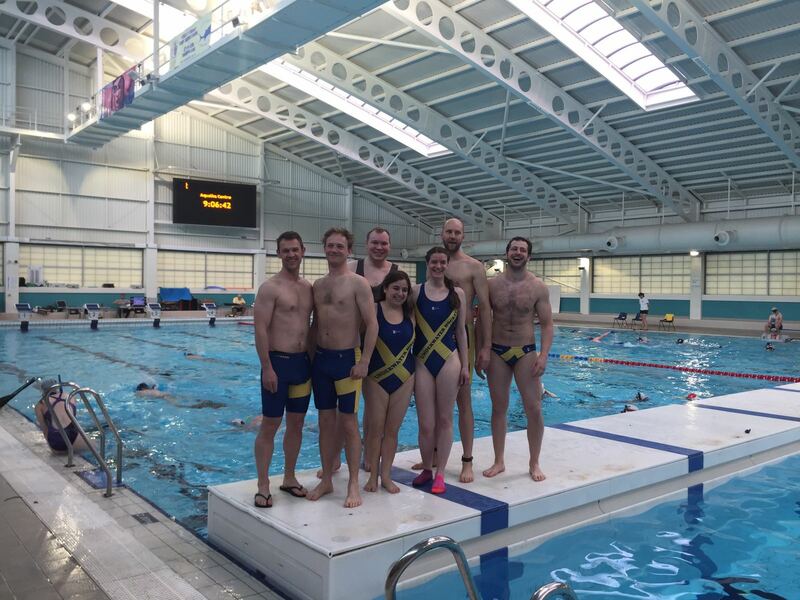 This competition sees the 24 top Underwater Hockey teams across the UK competing across a two day event. The teams were diverse ranging from London based teams, to those in the Southwest and as far as Caledonia, Orkney and Pembroke! The first day of competition sees teams play short games of ten minutes in a round robin. St Albans played 11 games across the day, competing against some very tough teams. It was a mixed day with some very strong wins against Southport B, Midlands and Yorkshire and some losses against Manchester B, Caledonia and Orkney, who would go on to place in the top 12. Overall despite having fewer players than most of the clubs, St Albans put in a strong performance and cemented their second place in the third division. On Sunday St Albans competed for the BOA Bowl competition and played 5 games in a round robin, winning convincingly against Sussex, Manchester B and Yorkshire C. This qualified the team for a playoff match against Sussex for third place. After two full days of the tournament, the team were exhausted, but thrilled to make it through to the playoff game. St Albans pulled together as a team during the 30 minute match and won convincingly against Sussex 7-2, winning a well-deserved Bronze medal. Kevin, Chris and Ferg were top scorers across the competition, with a special mention to Ferg who managed to play defensively and then switch to a forward position and score a number of fantastic goals. The team enjoyed the weekend and are looking forward to the next competition, hopefully inspiring even more members of the club to compete.